From the book Who am I. His technique name is Self inquiry. Que:10. How will the mind become quiescent? Ramana: By the inquiry ‘Who am I?’. The thought ‘who am I?’ will destroy all other thoughts, and like the stick used for stirring the burning pyre, it will itself in the end get destroyed. Then, there will arise Self-realization. 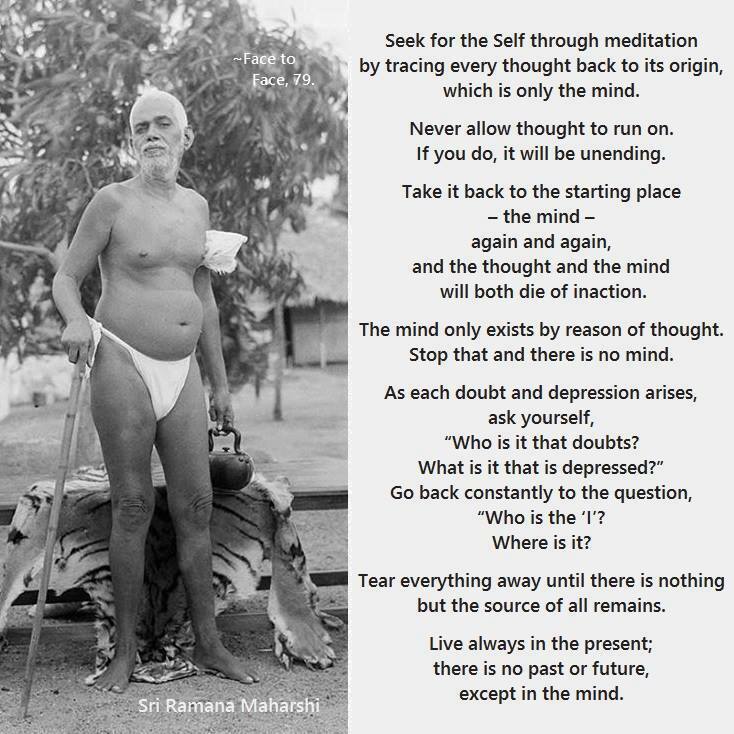 Ramana: When other thoughts arise, one should not pursue them, but should inquire: ‘To whom do they arise?’ It does not matter how many thoughts arise. As each thought arises, one should inquire with diligence, “To whom has this thought arisen?”. The answer that would emerge would be “To me”. Thereupon if one inquires “Who am I?”, the mind will go back to its source; and the thought that arose will become quiescent. With repeated practice in this manner, the mind will develop the skill to stay in its source. When the mind that is subtle goes out through the brain and the senseorgans, the gross names and forms appear; when it stays in the heart, the names and forms disappear. Not letting the mind go out, but retaining it in the Heart is what is called “inwardness” (antarmukha). Letting the mind go out of the Heart is known as “externalisation” (bahir-mukha). Thus, when the mind stays in the Heart, the ‘I’ which is the source of all thoughts will go, and the Self which ever exists will shine. Whatever one does, one should do without the egoity “I”. If one acts in that way, all will appear as of the nature of Siva (God). Not the answer you're looking for? Browse other questions tagged moksha atma brahman meditation . Where is the passage about silence and Brahman preserved by Adi Shankaracharya?